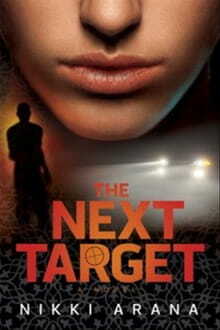 There’s a certain kind of boldness about Nikki Arana’s latest, The Next Target. Though it’s a quasi-thriller not noteworthy for suspense or depth of character, it becomes an engrossing read because Arana seeks for her subject matter an issue that exists only in the margins of contemporary literature—relations between Christianity and Islam in America. The story focuses on Austia Donatelli, who runs a Career Center in Agua Viva, a predominantly Muslim neighborhood in south Los Angeles. Donatelli uses the center’s evening English as a Second Language (ESL) classes, as a forum to minister to young Muslim women, knowing the risks both herself and her students face from the patriarchal Islamic culture that views Christianity as blasphemy and imposes strict penalties on those who leave the faith, or are even seen in public with Christians. When Sabirah, one of these women, is shot and killed outside a local diner, Austia suspects a network of Muslim extremists of targeting her outreach and planning more hostilities. She’s especially suspicious when Zaki shows up at the Career Center seeking work as a translator, and she can’t shake the feeling he’s linked somehow to local cell leader Hussein al-Ansari. Austia hires Zaki, mostly to keep an eye on him, but the longer he works in her office, the deeper she gets into Hussein’s network, trying to uncover his ultimate endgame. The biggest area of strength of Target is the portrayal of the Muslim main characters, specifically Zaki and Fatima, Hussein’s wife. Arana is to be commended for wading boldly into politically-charged waters. By even being willing to admit there are Muslims interested in converting to Christianity, she’s touching on a taboo subject. And, for acknowledging that, yes, there are certain Muslims who wish to see the entire world convert or be killed, she’s going even deeper into taboo territory. Depending on your cable news network of choice, you either hear most Muslims want Americans to die, or most Muslims are vastly misunderstood. Arana wisely takes a middle ground, portraying characters from a variety of viewpoints so as to sidestep the polarizing nature of the debate. It seems a more honest, if less dramatic, portrayal. What emerges most is a picture of the complicated nature of relations between these groups. Even those with the best of intentions, as are Austia and her co-worker Annie, find it difficult to navigate these waters. That’s the truth that is taken away at the end of the novel. Where Target isn’t quite as interesting is in its plot. Perhaps as a result of not building Austia’s character or adequately establishing her objective in this story, we don’t get a good feel for her or what she’s after. Austia mourns the loss of her husband David, killed in Afghanistan by Islamist extremists prior to the book’s opening, but her reaction to this is rather knee-jerk: she finds it hard to trust Muslims. A more nuanced response would have deepened the reader’s experience. Once the story hits the third act, and Austia gains a mission—getting Fatima out of California to safety—the plot picks up speed. It’s the middle section where the story sags. In addition, the revelation of Zaki’s true nature isn’t handled effectively. We know he’s trustworthy long before Austia does, taking some tension away. Arana is to be commended for finding a way to address a subject most authors won’t in a way most haven’t. As a result, this book becomes an intriguing picture of life in contemporary America where races and religions rub elbows daily without fully understanding the other side’s motivations or interests.